No original cables or ink in the box so I have not been able to test it - this is reflected in the price. Collection only in person from Uxbridge UB10. Compact, and desktop friendly. 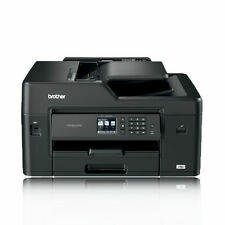 Brother MFC-L2710DW Mono Laser All-In-One Printer. 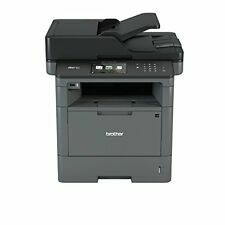 Brother MFC-L2710DW Mono Laser All-In-One Printer MFCL2710DWZU1. Built to perform for longer. Made from robust and hard-wearing material, providing the peace of mind that your printer will keep on going. Print, copy, scan and fax - all up to A3. Up to 22ipm mono / 20ipm colour print speeds. Up to 250 sheet paper capacity. Product Family: MFC. Product Type: Inkjet Multifunction Printer. Multifunction Devices: Copier/Fax/Printer/Scanner. Inkjet Paper. Copy Color: Colour. Fax Color: Colour. Product Series: MFC. Print Color Capability: Colour. Print technology A4 Mono MFP. Built to perform for longer. Made from robust and hard-wearing material providing the peace of mind that your printer will keep on going. Mono Print Speed (A4) 30 Page Per Minute. 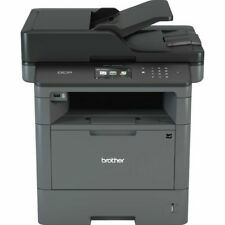 Brother MFC J5625DW - A4 Colour Inkjet Printer. The Printer Broker Ltd is a supplier of printers, fusers and printer parts based in Bolton, Greater Manchester, UK. Printer is supplied with part used INK that is not covered under warranty. Condition is used but fully working. This printer was voted fastest in its class, which allows you to benefit from low cost printing, at even faster speeds. This All In One inkjet printer can produce up to 35 ppm colour or 27 ppm black. With it's compact size, it can be easily placed on a desk, saving space. Combined with it's quietness, it won't interrupt you while you work.Key features. Includes up to 700 Page inbox toner. MFC-L2710DW Wireless 4-in-1 Mono Laser Printer. Easy to follow instructions are provided. Printer Standard Resolution 6000 x 1200 dpi Print. Product Summary Brother MFC-J6520DW A3 Colour Multifunction Inkjet Printer. Product Type Inkjet Printer. Technology Multifunction Inkjet Printer. Product Family: MFC. Product Type: Laser Multifunction Printer. Multifunction Devices: Copier/Fax/Printer/Scanner. Product Series: MFC. Scan Color: Colour. Manufacturer: Brother Industries, Ltd. Maximum Mono Print Speed (ppm): 30. Part : MFC8880DNZU1. 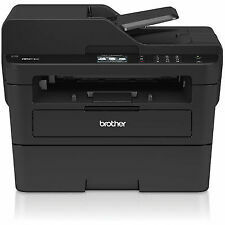 Brother MFC-8880dn - A4 Mono Multifunction Printer. The Printer Broker Ltd is a supplier of printers, fusers and printer parts based in Bolton, Greater Manchester, UK. Part Number : MFC1810ZU1. The Printer Broker Ltd is a supplier of printers, fusers and printer parts based in Bolton, Greater Manchester, UK. All-in-One A3 Inkjet Printer. When you’ve invested in a high quality Brother printer, you expect the best results. With automatic duplex printing and low energy consumption, this inkjet printer makes office printing more cost effective. 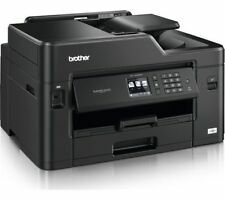 Brother MFC-J6520DW A3 Inkjet Printer, Scanner And Copier. New listingBrother MFC-J6520DW All-in-One Inkjet Printer- Good condition. 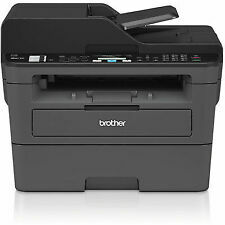 Brother MFC-J6520DW All-in-One Inkjet Printer- Good condition.. Condition is Used. Dispatched with eBay delivery – Shutl 2-3 days. 4 out of 5 stars - Brother MFC-J6520DW All-in-One Inkjet Printer- Good condition. 15 product ratings15 product ratings - Brother MFC-J6520DW All-in-One Inkjet Printer- Good condition. Print, scan, copy and fax more efficiently with the MFC-L5750DW. 40ppm Mono Print Speed. FLEXIBLE PRINT SOLUTIONS FROM BROTHER. Printer Type Mono Only. Printer Unit. Printer Technology Laser. Printer Connectivity USB. Brother MFC-J6520DW All-in-One Inkjet Printer- Good condition.